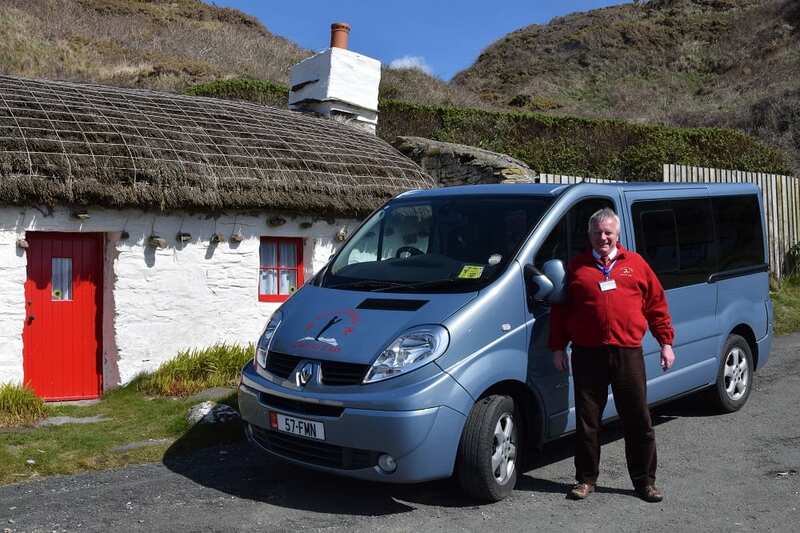 There was a news item last week claiming that Isle of Man tourism had slumped nearly 10% last year. 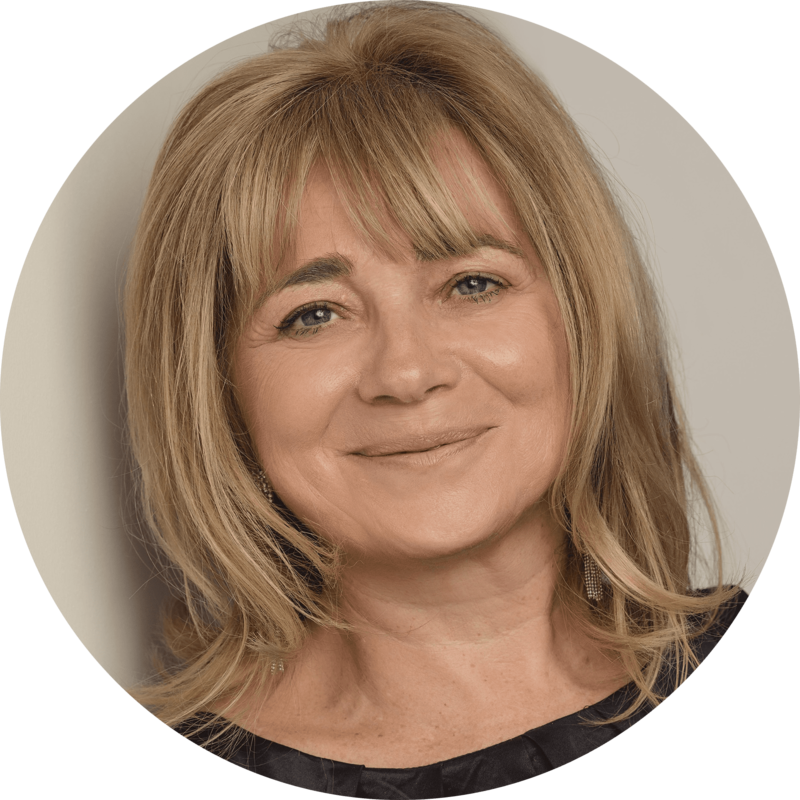 Then, a friend reported that all she could think was ’What what have we come to?’ when she visited recently. So I thought I would come and investigate. Mann is far easier to get to than I anticipated. I just pop on an EasyJet flight from Gatwick and I’m there just after nine, though I had to get up a little earlier than is civilised. There isn’t a cloud in the sky. We come into land across the capital, Douglas. To the right I can see first, the snowy peaks of Cumbria and then the still snow sprinkled Snaefell, the tallest point on the island. (Snaefell actually means snowy mountain.) They give way to an impressive line of soaring cliffs before we land. Nigel, from Albany Tours is waiting to meet me with his minivan. He is advertised as service with style – he was once butler to the queen mother. I’m a little disappointed he’s not wearing his tails, (he dons them when serving tea on open air picnics,) but today’s scarlet fleece is more practical and presumably draws less attention. Though he seems to know everyone anyway, and has an entertaining stream of stories to tell about celebrities he has worked with, woven round his commentary on the island and its history. We set off on a clockwise tour of Mann. The weather is so gorgeous and everything has gone so well today that I’m already favourably disposed, but there is nothing negative to report. The island is delightful, firmly rooted in the last century (or earlier ), tranquil, wild and beautiful. I’m just about the first tourist of the season and in the first stop, Castletown, all three advertised sights are closed: the castle itself, (there’s welding going on, and sparks flying just to deter anyone who does wander in), the old school house, and the miniscule old parliament building, the House of Keys. I’ve already noticed, that the ancient symbol on the Isle of Man flag, the triskelion, with its three legs, is ubiquitous. It features on most of the buildings, the signposts and even the filling stations. And the flag of course. Nigel tells me that it’s to illustrate the motto: ‘Every which way you throw me we will stand’. 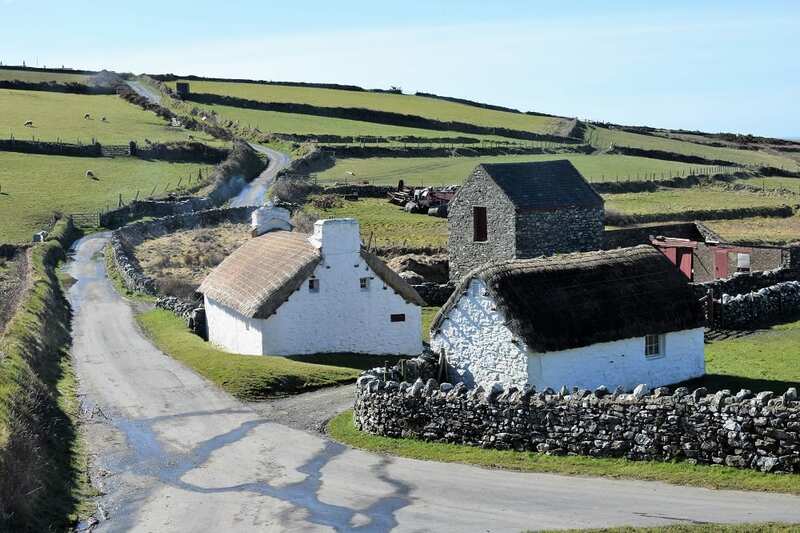 Through Port St Mary and Port Erin to the living village at Cragneash. I’ve read that Manx cats are elusive and I wouldn’t see one. 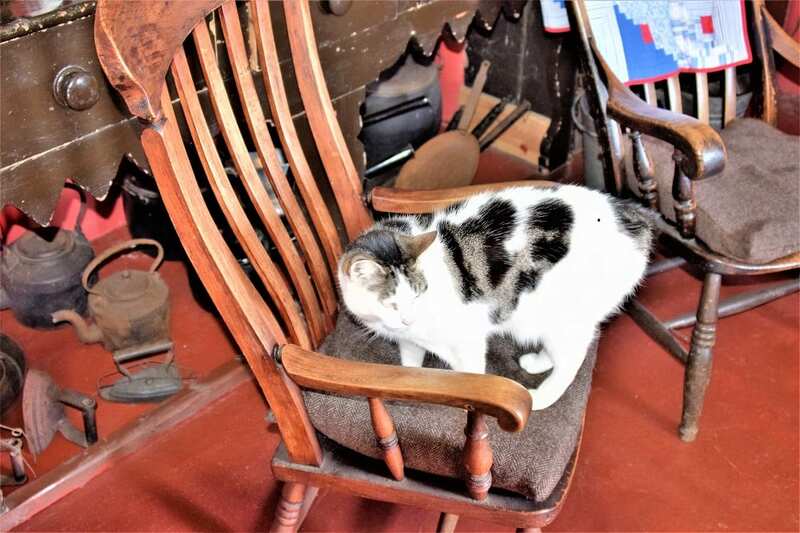 But there are several of the tail-less felines patrolling the charming mix of thatched cottages, staking out the best position in front of the peat fires and purring to be fed. There are two types of cat- a stumpy and a rumpy. These appear to be rumpies. 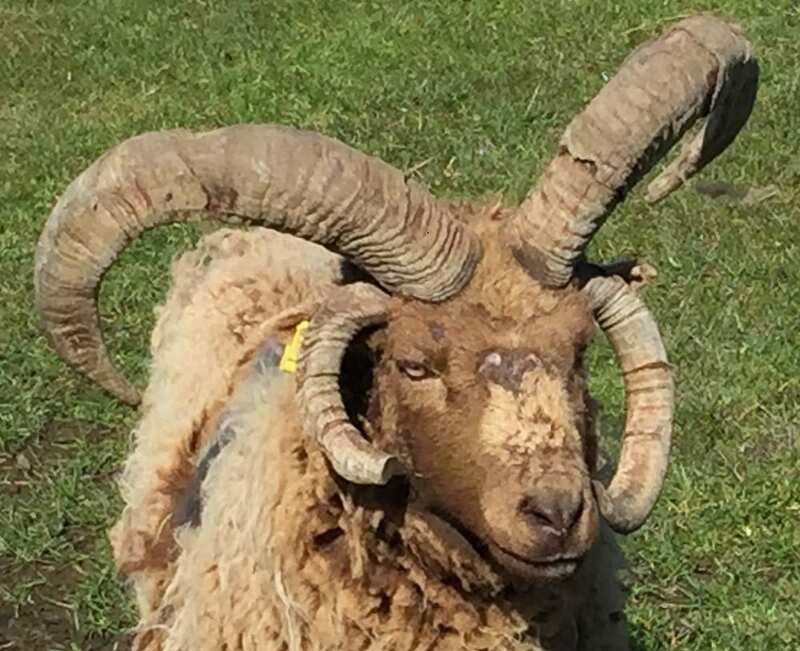 They also have the Manx Loaghtan sheep, looking like something out of Dr Who with their four horns. 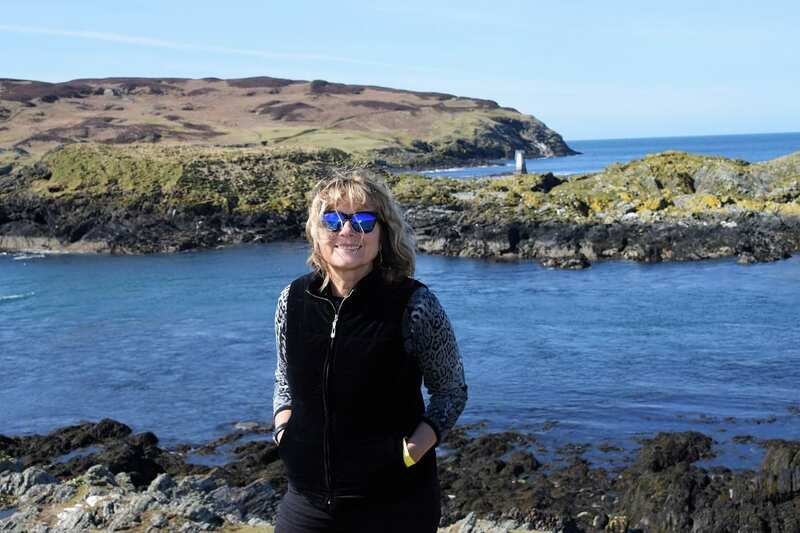 South to views of the rugged island at the tip of Mann -the Calf of Man and more wildlife. Seals are basking on the rocks ahead of us with a few of the more energetic among them diving in the incredibly clear waters of the straits below. It’s still too cold for the sharks and dolphins promised on the information boards. Lunch in a cafe, with views across yet another picturesque bay. The newly whitewashed cottages with scarlet doors have a prime spot on the quay, lobster pots stacked high outside, scarlet is a popular colour here. I assume that’s because it’s the colour of the national flag, but it’s a good counterpoint to the blues whites and greens of the countryside. The regional foods feature on most of the menus: Manx cheese, kippers and seafood, especially queenies, the local scallops. I’m served these in a sauce with bacon and garlic, very tasty. Up the coast to Peel with another imposing castle and a kipper factory (scarlet painted of course) with one kiln still smoking. The harbour here has been expanded to include an upmarket marina with correspondingly upmarket restaurants. 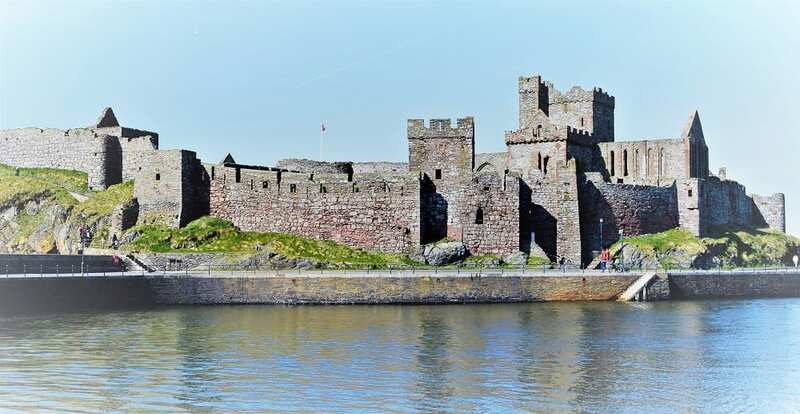 It’s an interesting, if bracing, stroll round the castle, past all the portable fish stalls (queenies cooked to order) and along the golden beach (views back across to the castle) and little boats bobbing in front. There are even some intrepid holidaymakers building sand castles. The Isle of Man annually hosts the most prestigious motorcycle event in the world, the International Isle of Man TT (Tourist Trophy) Race, held on the island roads. Our route merges with that of the race, demarcated with oddly pastel mileage and route signs. They have already started to prepare for this year’s race and insubstantial looking sand bags are being laid along the roadside. It must be terrifying speeding along these winding country lanes, particularly in the sidecar race. Tours in the trikes are on offer, but I’m happy to have my picture taken with a couple of would-be-racer-tourists on bikes. Now there are views across to Ireland and the mountains of Mourne (more snow). I can’t resist singing the song and Nigel politely refrains from comment. There’s a nature reserve here and this time we’re on the track of wallabies who have escaped from captivity and become habituated over the years. The ground is still very wet, the forested areas wouldn’t look out of place in Jurassic Park, and the usually wallaby favoured grasslands are incredibly boggy, so the marsupials decline to appear. There are some droppings on the boardwalk -Nigel says they’re fresh and I’m going to take his word for it. It seems the wallabies have found some dry ground elsewhere to hang out on. Across the rolling hills, covered with gorse just on the brink of its flaming glory, to Ramsey, on the east coast. Another little harbour, but a town with little to recommend it. We don’t stop. 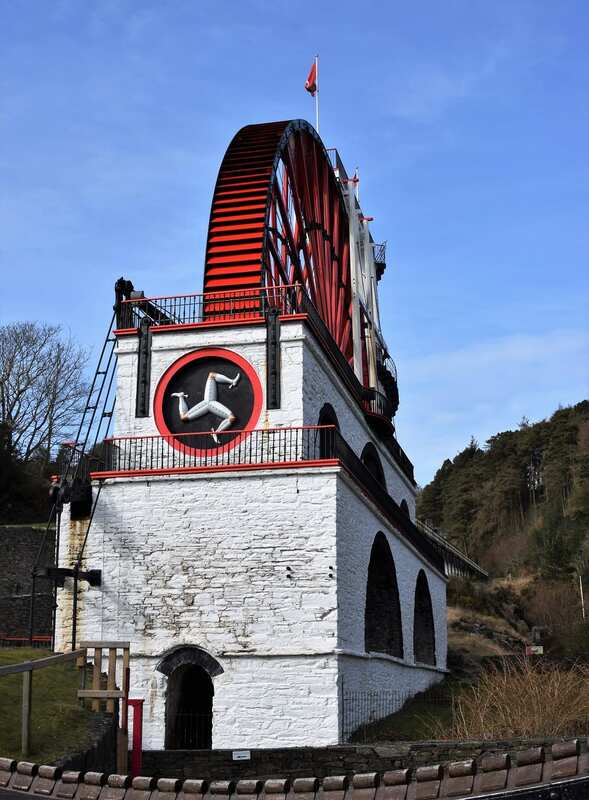 Next, Laxey, renowned for salmon (hence the name), which has several water wheels of different sizes. Naturally, the wheels are scarlet and naturally, there are several cafes offering Manx delights. This time the choice is lemon and lime drizzle cake. On our last leg, a muddy brown Snaefell towers overhead, the snow has cleared now, and we drop down to Douglas, where I’m staying. A really lovely (and exhausting) day. Thank you Nigel. There’s a bewildering choice of transport on offer today. 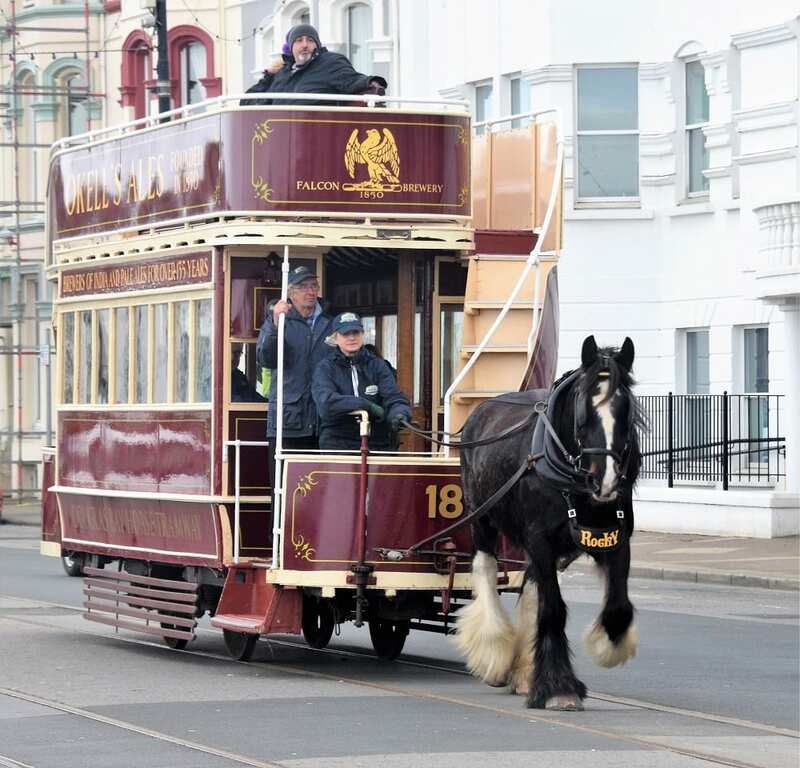 In addition to the usual buses and aforementioned motorbikes there are steam railways, electric railways, electric trams and horse drawn trams (these clomp loudly past my bedroom window). There’s even a horse drawn double-decker bus. The weather has reverted to gloomy with rain promised, so I’ve decided to stay in Douglas where I can sample indoor offerings. Douglas is definitely in another era. It’s a typical Victorian seaside town. There are some monstrous crenellated stone buildings, mixed with some Edwardian housing (and later, including some art deco) , so it’s not at its best when it’s over cast. But it rewards persistence. 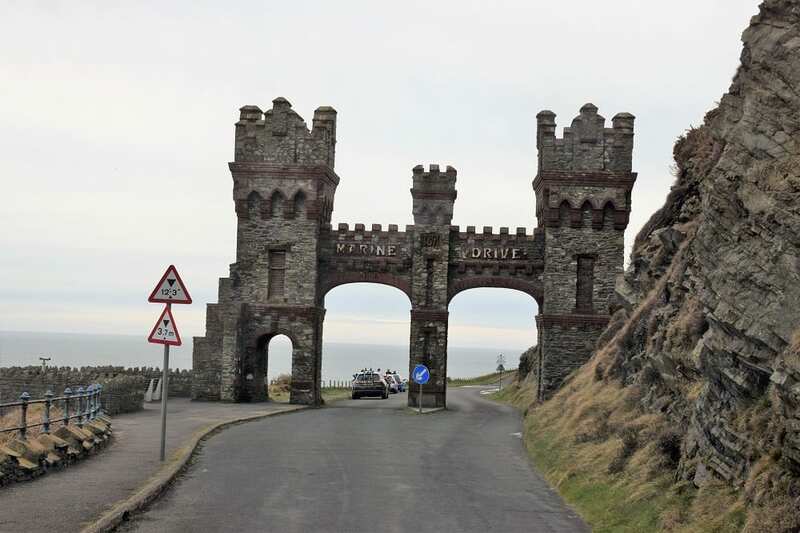 There’s a two mile promenade (illuminated at night) and further south still a cliff path, designed for horse drawn carriages and announced by a huge gothic stone gateway. The wind is beyond bracing today, as I head for the seafront. Gloves and hat are definitely in order. I note that there are a few other tourists braving the wind before I encounter a lady walking a very excited, bouncy, puppy. ‘He’s never seen so many people before’, she explains. Out in the bay, is a tiny island taken up by the Tower of Refuge, built to warn of shallow waters. The Steam Packet ferry (no longer really a packet) from either Liverpool or Heysham is lurching into harbour. I’m glad I’m not on it. I retreat to the quay area. It’s not exactly picturesque, but it’s lined with fish cafes, scrubbed tables and waiters wearing blue striped aprons. Along the way there are, unsurprisingly, several financial institutions-Off Shore Investments Here! Nigel told me that Douglas is home to several online gambling companies, one of them Chinese. Past the new Tynwald, complete with large round tower and along the pedestrianised shopping street. There are a couple of classy cafes, which is just as well, as the rain has arrived. My last call, climbing up the hill, is the Manx museum. It’s exactly the right size and puts everything very nicely into perspective. The bus back to the airport completes my island circuit (the stop is conveniently right outside the hotel). More rolling hills, a cat sanctuary and a rest home for old horses. 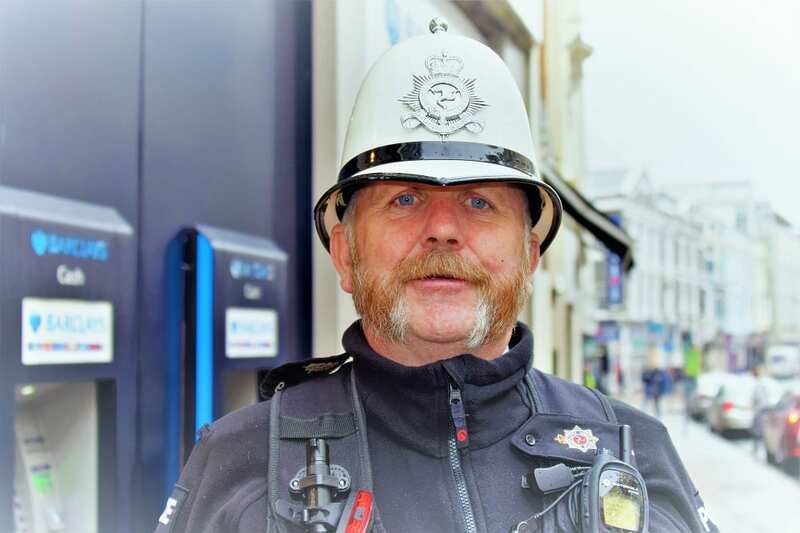 Nigel has already told me that the Manx people are very superstitious. They place tongs across the cribs to stop their babies being stolen by the Little People. The recorded voice announcing the stops instructs us to ‘Say hello to the fairies!’ as we cross the Fairy Bridge. Some of the passengers wave. I’ve thoroughly enjoyed my trip to a bygone age. There’s a lot to see and do here. The only thing wrong with the Isle of Man is some very poor PR. 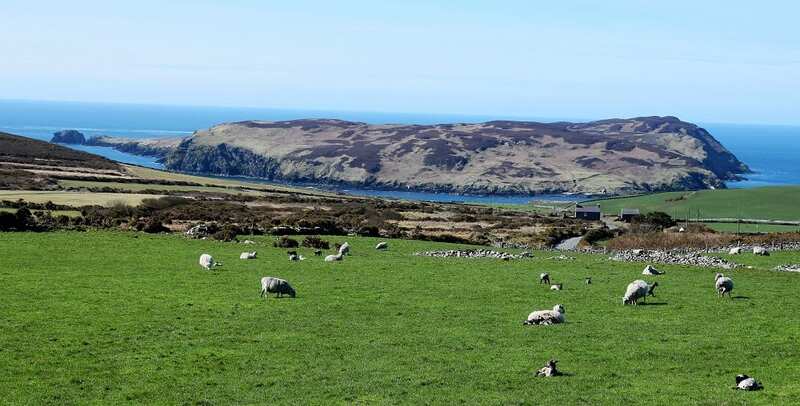 The Isle of Man is a self-governing British Crown dependency, sometimes known simply as Mann (with two Ns). 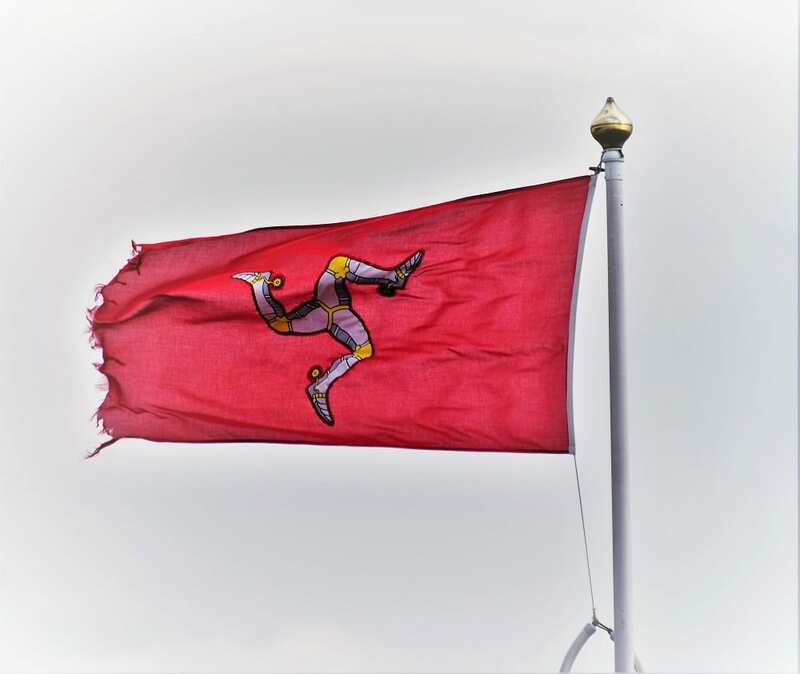 The Isle of Man today is not part of the United Kingdom (or part of the EU for that matter).It’s a Crown Dependency, which means that it is technically a possession of the crown directly, it is not a territory of the UK. The UK never conquered the island; the crown bought the title, The Lord of Mann in 1765 from the Duke of Atholl (to prevent lost revenue from smuggling). So the Queen is Lord of Mann (not Lady). Mann has the oldest continuous parliament in the world, standing since 979 with no break. Since 1990 it has been led by a president. Before this I was presided over by a lieutenant governor sent from the UK. The parliament is called The Tynwald which means meeting place. The districts of the island are called sheadings and the original Tynwald Hill is built of soil taken from each of the sheadings. The British Pound is used as currency; the island is often utilised as a tax haven –‘offshore investments’. 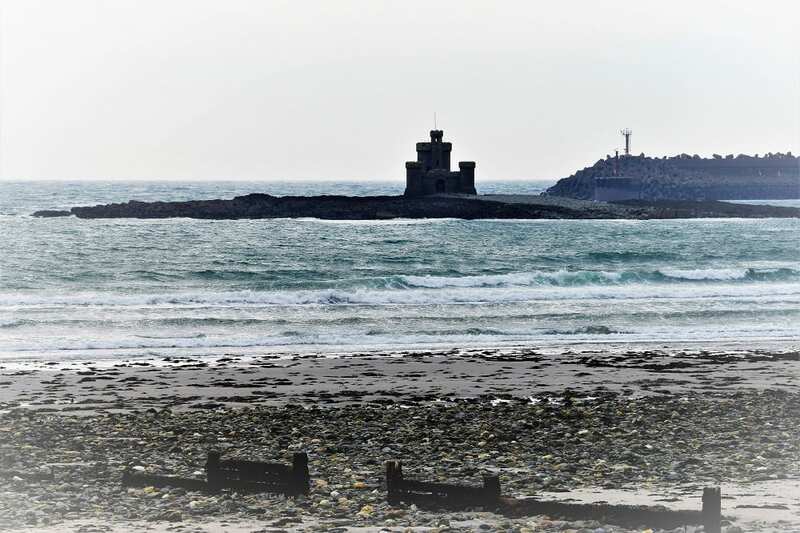 To see more of my photos of The Isle of Man, visit this page.